This athletic itinerary, mainly on crests, offers amazing viewpoints for the Cirque of Cilaos in the west, the Plains and the Volcano in the east, and of course the Piton des Neiges. An original way to climb to the summit of the Indian Ocean, along the tracks of the run-away slaves who found refuge in the Dimitile area. D1 – Hike along the sharp crests leading up to the Dimitile, site marked by the history of run-away slaves. Stunning views of the Entre-Deux relief and the south-west coast behind us. The path crosses different vegetation levels, from the low altitude semi-dry forest to the humid altitude forest. At the summit, by clear sky, we can enjoy a beautiful viewpoint for the Cirque of Cilaos. 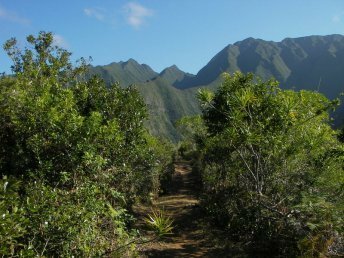 D2 – An “adventure” day to rejoin the Piton des Neiges refuge from the Dimitile, with a few “aerial” portions (ladders) to add spice to the walk! 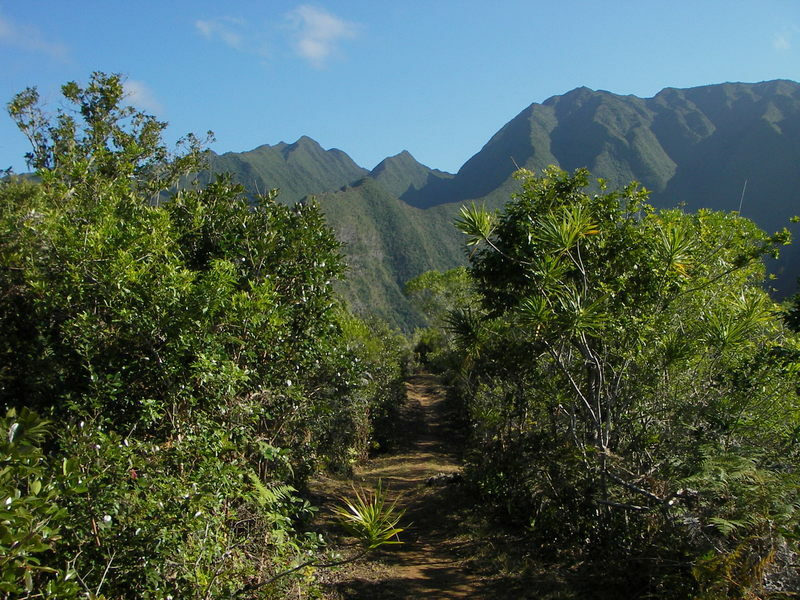 This beautiful path rides along the Calumets rempart (cliff), then along a sawtooth ridge... Spectacular views of the Cirque of Ciloas, the Grand Bassin valley, the Plaine des Cafres, the Volcano in the far distance. D3 - Before sunrise, we climb to the summit of the Piton des Neiges (3070 m), highest peak of the Indian Ocean. Unique 360° viewpoint for the cirques, remparts, east and west coasts, the Grand Bénare opposite, the Piton de la Fournaise in the far distance. Descent to the refuge then to Cilaos through the forest. From Cilaos, transfer on the local bus for an hour. We then walk back to Entre-Deux along a path starting from the Bras de Cilaos (river).